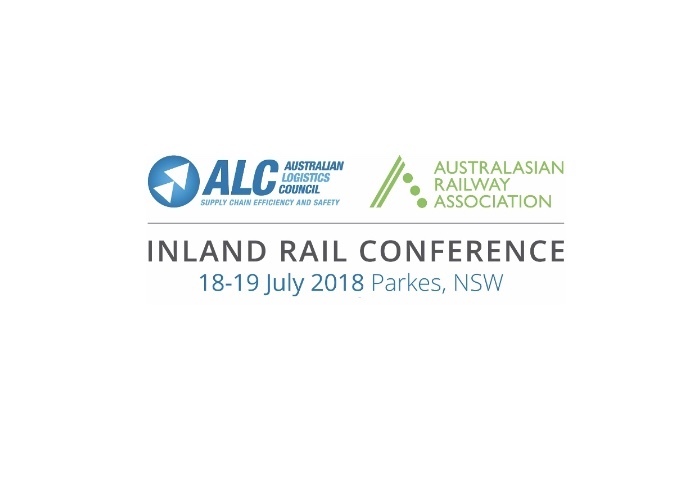 The Australasian Railway Association (ARA) and the Australian Logistics Council (ALC) invite you to save 18 & 19 July 2018 in your diaries for the 2018 Inland Rail Conference in Parkes NSW. Inland Rail is a nationally significant transport initiative. It will provide a strategic opportunity to make a significant change in the capacity and capability of the national freight rail system. “2018 is a year of delivery for Inland Rail with construction due to commence on the Parkes to Narromine section of the track, making this inaugural industry-led conference a must-attend event,” said Michael Kilgariff, Managing Director, Australian Logistics Council. “The two-day Conference will bring together key players involved in the Inland Rail project to discuss how this nationally significant infrastructure project will transform the movement of freight in Australia, what it means for the Australian freight and logistics industry and the benefits it will deliver for national freight customers,” said Danny Broad, Chief Executive Officer, Australasian Railway Association. “Inland Rail will provide a resilient rail network with multiple pathways, that will carry the longer more efficient trains of the future and bring further prosperity to regional Australia,” John Fullerton, Managing Director and Chief Executive Officer, Australasian Rail Track Corporation. • Create 16,000 new jobs at the peak of construction and another 700 every year for the life of the project. With work expected to commence this year on the Inland Rail line, the development of the National Freight and Supply Chain Strategy takes on added importance. To maximise the project’s effectiveness, we must also address the other impediments to freight efficiency by investing in complementary freight infrastructure, overcoming regulatory barriers and taking a national approach to key freight issues. For example, we must ensure there are efficient connections to the ports of Melbourne and Brisbane, as well as Newcastle, Botany and Kembla, and there is a national approach to planning in our cities. Embedding Inland Rail in the National Freight and Supply Chain Strategy will provide a building block for future infrastructure investments that will improve freight efficiency for generations to come. Save the date now to ensure you don’t miss this important industry event at Parkes – the centre of the historic Inland Rail line. For media passes, please contact the ARA’s Communications Manager, Berna Doksatli at bdoksatli@ara.net.au.